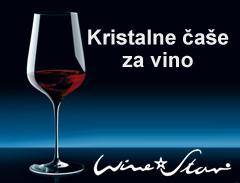 Croatia has a tradition of producing wine since the times when the Roman empire ruled the world. Wooden barrels for wine storing were first ever made in Croatia! Despite this tradition, only in the last fifteen years there has been a progress toward the production of excellent wines. In Croatia we have two main climatic regions that determine sortiments in the vineyard and the types of wines. These are the continental and Mediterranean regions, which are each divided into southeastern and northeastern parts. Due to the large number of manufacturers, large sortimenta and the various capacities of production (f.i. exclusive wines from the Dalmatian islands have series of barely 1000 bottles in contrast to large winery with vineyards that range over 500 hectares) any request for export will surely be different. So, if you are interested in wines in Croatia, you can request that we send you a general offer of wines from the middle class or you can immediately make an inquiry for a specific sort, vineyard or producer.